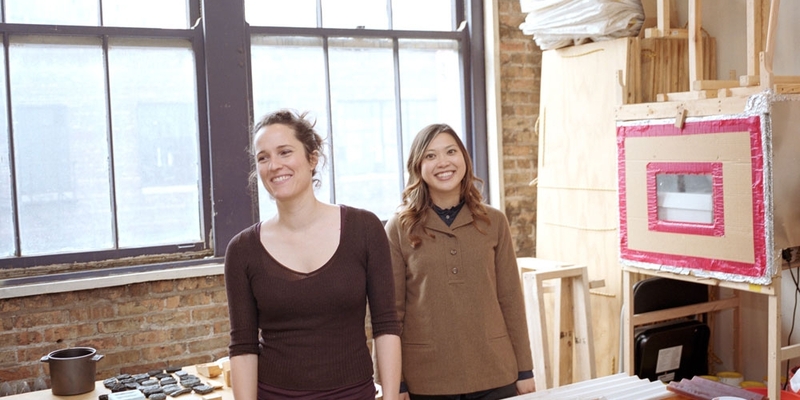 ODLCO was a small batch design brand founded by Caroline Linder and Lisa Smith in 2011, after a number of years working to produce design exhibitions, workshops, and pop up shops in Chicago. We worked with independent designers and regional manufacturers to produce small runs of household products with an adventurous spirit. Working in small batches meant we could engage more fully in the production process, allowing us to keep production in the hands of smaller vendors who are based nearby, with whom we developed closer relationships.